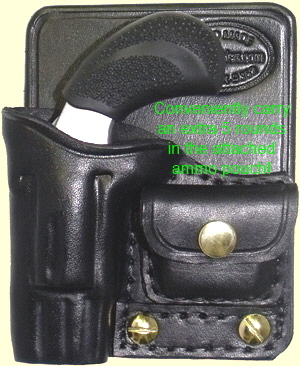 These compact 22LR’s and 22 Magnums are unnoticeable with back pocket or front pocket concealed carry holsters. 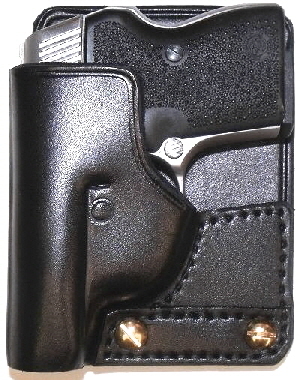 With the rear panel removed from the Pocket Holster, the front pocket holster conveniently keeps your mini-revolver in an upright, easy to reach position in your pocket. The rearward hook on the holster catches on the inside of your pocket and the revolver is easily extracted on the draw The low -profile design of these mini-revolvers make them an excellent choice for concealed carry.